Crank it to the limit. New and improved, the Shimano R7000 105 Crankset strikes the perfect balance between weight, efficiency, and comfort without sacrificing on stiffness. 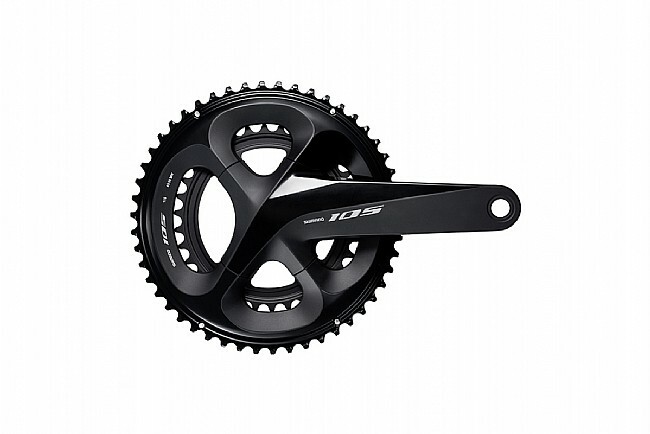 The result is a lightweight alloy crankset that has been optimized to deliver the maximum in power transfer. With a wide gear pitch, the new R7000 is fully compatible with standard road frames, as well as modern 135mm O.L.D. spaced disc frames. Hollowtech II technology balances weight and efficiency without sacrificing stiffness. Rider tuned performance with numerous gear combinations. Wider gear pitch increases chain clearance with small gearings. Allows for 310mm chain stays on 135mm O.L.D. frames. Multiple options provide greater choice. Available in multiple gear offerings: 50x34t, 52x36t, 53x39t. 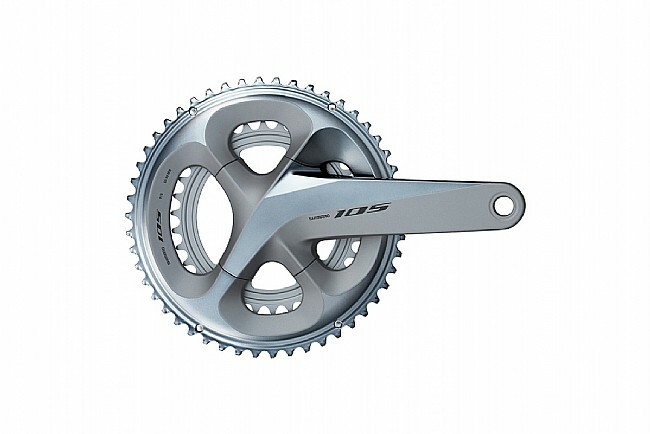 Available in multiple crank lengths: 160mm, 165mm, 170mm, 172.5mm, 175mm. Weights: 713.4g (50-34t), 742.6g (52-36t), 757.8g (53-39t). I was able to get a 2019 C-Dale Synapse with the new 105 7000 series build - except for the crank which was an FSA C-Dale design to keep the price under $3K. Im sure it would have been fine but I really like the components to match! As usual, WBW had what I needed. Cannondale would not confirm that the crank would positively fit, but since many of their models come with Ultegra I thought it wouldnt be a problem. My mechanic found the following the stock crank was a press-fit, and FCR7000 is threaded, but the problem was solved with a BB under $50 (cant recall the name but was told this is an excellent parts manufacturer). Looks and rides great, plus no more FrankenBike!